I got a commission request for a Doctor Doom. I don't think I've ever done a full-sized, whole, splash page drawing of this character even though he's possibly my favorite pop culture villain. Well, I remedied that. I drew it using pen, brush and India ink on 11" x 17" Bristol board. 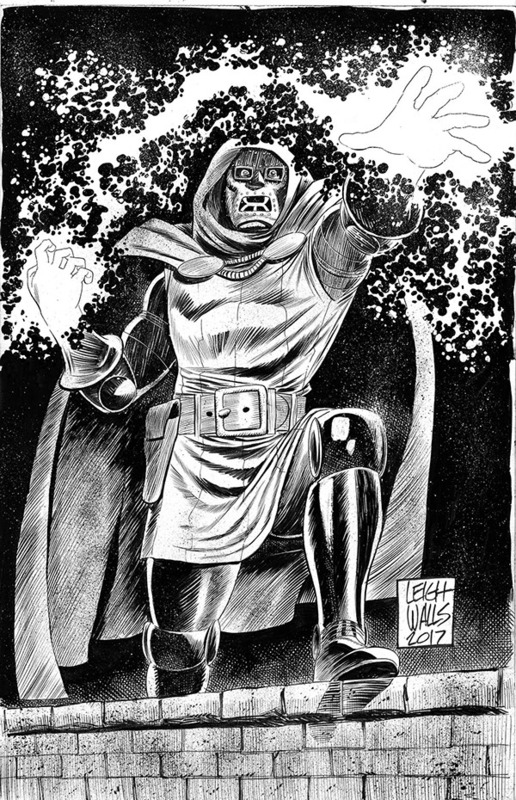 This a black and white, pen, brush, and India ink, line drawing of the Marvel Comics super villain, Doctor Doom from the Fantastic Four comic book.